One of the health problems susceptible to the Little One is diarrhea. Based on 2007 Basic Health Research (RISKESDAS) data, diarrhea is the cause of death in 42.5 percent of infants and 25.2 percent of children aged 1-4 years in Indonesia. The definition of diarrhea is the frequency of defecation more than three times a day, with the consistency of the stool that is soft and tend to dilute. The most common cause of diarrhea in children is viral infection. Diarrhea caused by a viral infection also triggers the appearance of fever, abdominal pain, nausea, and decreased appetite to eat and also to drink. Increase fluid intake. Make sure that the fluid needs is fulfilled. Avoid giving fruit juice to your Little One when he/she is having diarrhea because it can make the condition worse. Food. At the time of diarrhea, your Little One must still get something to eat. Mommy can give the Little One, porridge or soup for the Little One. Another option is to give him or her a type of food that is proven to reduce the symptoms of diarrhea, such as "BRAT: Bread, Rice, Applesauce, Toast" ie white bread, white rice, apples and toast bread. When to take your Little One to the doctor? 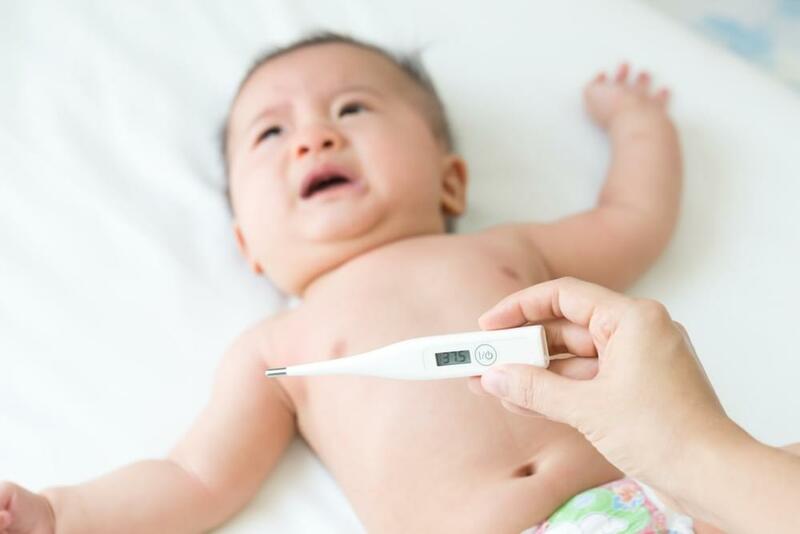 If your Little One is under 5 years old and has diarrhea with fever over 40.5 degree Celsius, or is less than six months old and has a fever of up to 38 degree Celsius, immediately take him/her to the doctor. These conditions have high potential to make your Little One to be dehydrated. Dehydration is a condition of the body lacking fluids. Symptoms include dizziness, limp body, pale face and dry lips. If dehydration is not managed, it can cause death. Indeed diarrhea that occurs with fever does not mean that your Little One is in danger. However, these conditions can not be underestimated. If your Little One is experiencing the above symptoms, immediately take him or her to the doctor. In order for the your Little One's digestive tract to maintain its health, Mommy must ensure that the food and drink he/she consumes is clean and contains the nutrients needed. Mommy can choose products that have been added with probiotics Bifidobacterium longum BB536 and Bifidobacterium breve M-16V and lactulose prebiotics. The combination of two good bacteria will make theyour Little One to be not susceptible to diarrhea nor experiencing constipation. Not only that, the absorption of nutrients is also more maximized. Meanwhile, lactulose prebiotics can help increase the population of good bacteria in the gastrointestinal tract. Fever and diarrhea can be prevented by applying a healthy and clean lifestyle. With reduced exposure to disease, then health will be more maintained. Do not forget to get used to wash hands every time your Little One is done with his or her activity. For the Little One, the teething process actually begins since they are still in the womb, initiating with the tooth buds. However, teeth will initially begin to appear when the Little One is four to seven months old.